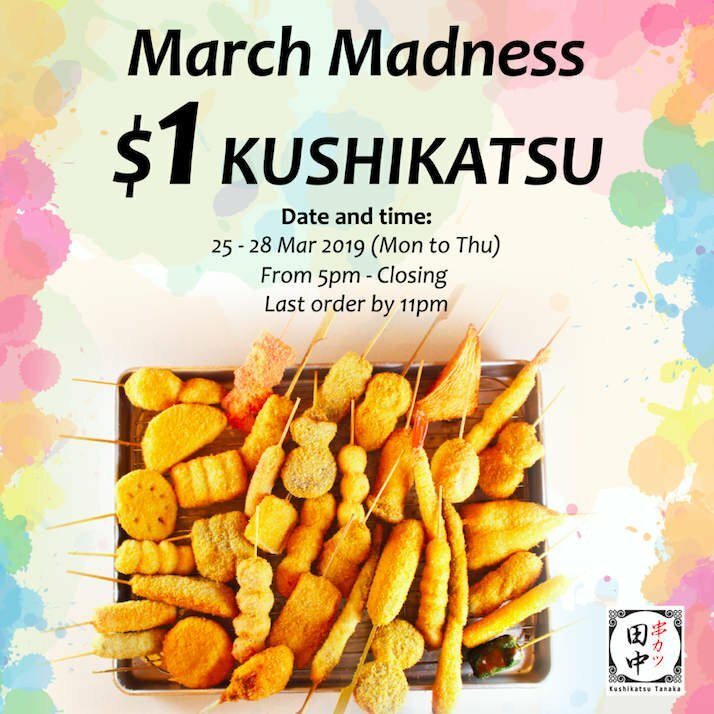 Due to overwhelming demand, Kushikatus Tanaka has EXTENDED the hours for their $1 Kushikatsu promotion at Kushikatsu Tanaka! These delicious golden fried kushikatsu sticks are now going for only $1 from Monday – Thursday (25 – 28 Mar), from 5pm till closing*! Don’t miss out on the amazing variety of golden fried skewers, including popular bestsellers such as beef, pork, marinated egg, bacon cheese and many, many more! Come on down for this crazy good $1 deal at Kushikatsu Tanaka!